When you also consider that 92% of Startups fail within the first two years and that 3 new startups will be launched by the time you finish this sentence it would seem that the odds are drastically stacked against you. Failure as a founder is a constant threat. So it’s no surprise that 49% of founders suffer from mental health issues such as anxiety and depression. Something needs to give or something needs to shift. In most cases something gives before it shifts unfortunately. Given all of the above there must be a better way in handling obstacles otherwise those statistics and the founder suicides we occasionally hear of will only get worse. After a panic attack I noticed that I was not functioning at my best so I sought to solve this problem and discovered what legends who faced much larger obstacles in life used to overcome these debilitating situations. I then discovered Stoicism, considered by many as the ultimate operating system for high stress environments. Legends like Marcus Aurelius, Thomas Edison and even Steve Jobs were all reported to embody Stoicism. Unlike other philosophies, Stoic tenets are pragmatic and based on applying reason to the information provided by your senses in order to develop a true understanding of reality. As it is a broad philosophy with many fathers I will only focus on the parts of Stoicism that relate to this specific challenge here. The truth is we’re not driven by reality, we’re driven by our perception of reality. So how do we turn our perceptions around? 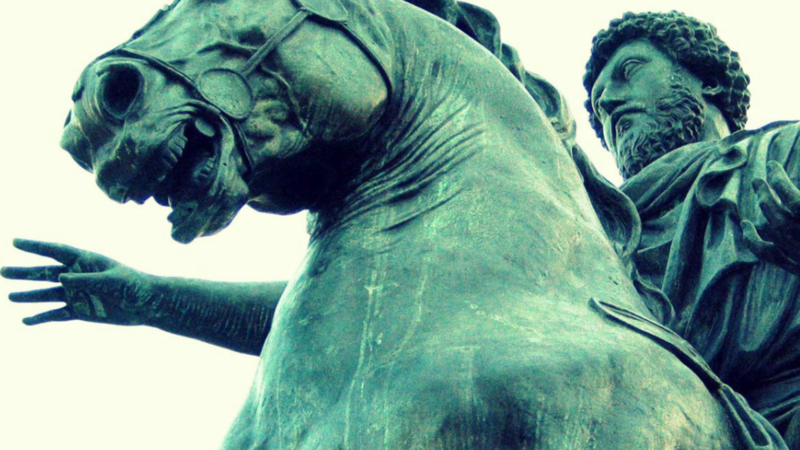 The Stoic’s believed that overcoming obstacles requires three critical steps. So once I understood these principles I would apply critical self-inquiry onto the obstacles I believed I had in order to get the facts and become aware of how my bias’s and beliefs were getting in the way of solving the biggest problems. I then applied focus on only the things that I had total control over- my actions. By taking a rational approach this enabled me to be more effective without the usual anxiety in tackling a large obstacle. For example, understanding why and how startups fail from the outset means that you can prepare and mitigate against those failures. A modern Stoic, Tim Ferris’s talk on Fear Setting is a great resource. We adapted his checklist to what you need to do to overcome obstacles and rationally assess the fear of doing something or nothing. By logically setting out the big obstacles that your business needs to overcome and applying Fear Setting to get underneath what might get in the way you will be less afraid of taking action. At The Founder Lab we believe this practice falls into the realm of capacity building. Specifically, in building your capacity to be adaptable which is critical in early stage startups who are experimenting until they find product market fit. In fact, we believe founders need to build capacity first as this has a multiplier effect to the effectiveness of your startup. However, as Mike Tyson famously said “Everybody has a plan until they get punched in the face.” Even the best tool kit will fail without daily rigor and practice. World class founders get punched in the face more often than most, their daily disciplines are what keeps them in the game and keeps them from causing more harm. We have found that daily practices in handling adversity and failure is critical to building your capacity to bounce back quickly when reality lands an upper cut when you least expect it. Finally, since most avoid obstacles it stands to reason that if you lean into turning obstacles to opportunities that you have a better chance of solving the world’s biggest problems and creating world changing impact. As Elon Musk recently mentioned “Starting a company is like eating glass and staring into the abyss.” So developing the capacity to do so is more important than anything else as a founder. In the end Stoicism helped me overcome my perceived obstacles to eventually build a business that was acquired 4 years later. Opportunity lies on the other side of obstacles. To learn more we recommend attending our next Bootcamps and we recommend Ryan Holiday’s book “The Obstacle is the Way” and “The Meditations of Marcus Aurelius”.